Corcoran curator letter written to angela cappetta from Paul Roth. 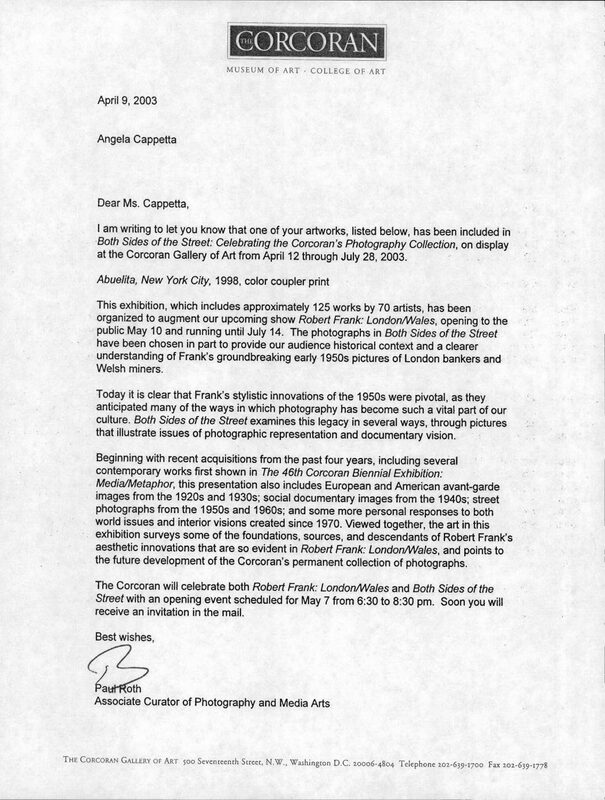 Attached above is the letter written to Angela Cappetta from Corcoran curator Paul Roth, curator* of Photographs at the Corcoran museum of art in Washington, D.C. 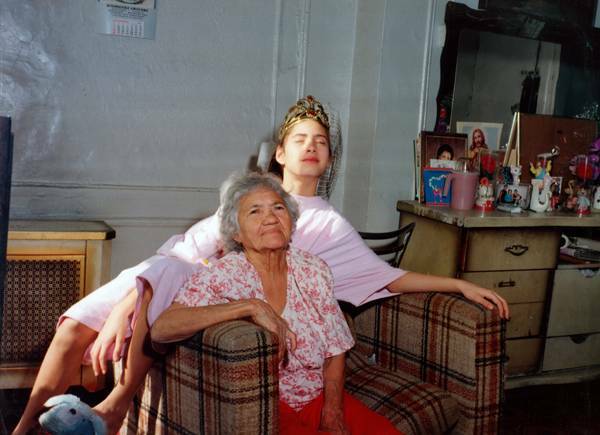 This letter summarized Angela Cappetta‘s contribution to the Robert Frank show London/Wales. Both Sides of the Street which hung in the same gallery as the Robert Frank show London/Wales. In order to demonstrate Frank’s influence on contemporary photography., the micro exhibit within an exhibit demonstrates a specific point. For instance, in this case, the evolution of street photography. What is a Curator? Excerpted from Art Demystified: What Do Curators Actually Do? Scholarly Article. What is the role of the curator in the contemporary art world? Often working behind the scenes, curators actually greatly influence the art we see in galleries and museums. As a result, they help determine which art we see.